Lady clerk said there were only 2 machines in the store, Machines 3 and 4. Retired 1: (Retired 1): 1) World of Disney logo, 2) Captain Hook, 3) Cruella De Ville, 4) Sorcerer Mickey with stars above his head. 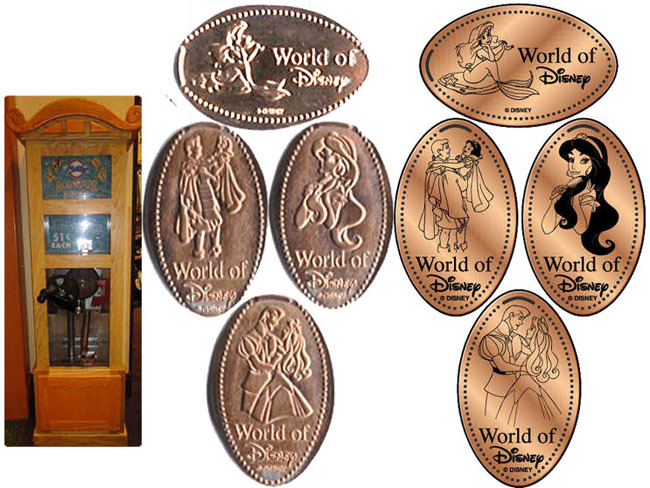 thegillion added World of Disney Store to system.